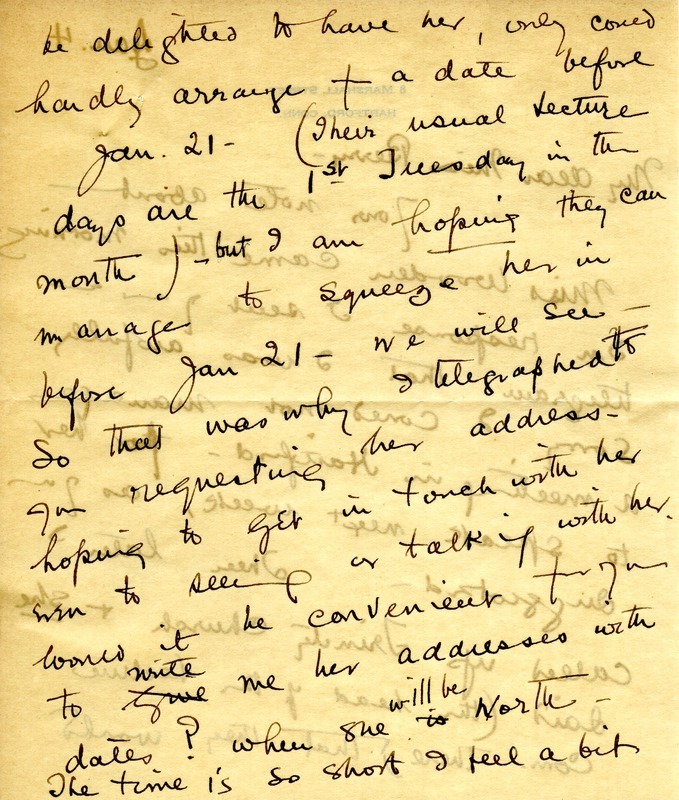 Helen Forrest writes that the note about Miss Wooten came that morning and asks for her address again so she can speak directly with her. She says that Trinity Church can't get her in before January 21 but she hopes that they could squeeze her in. She also mentions her new apartment and the ordeal of moving. 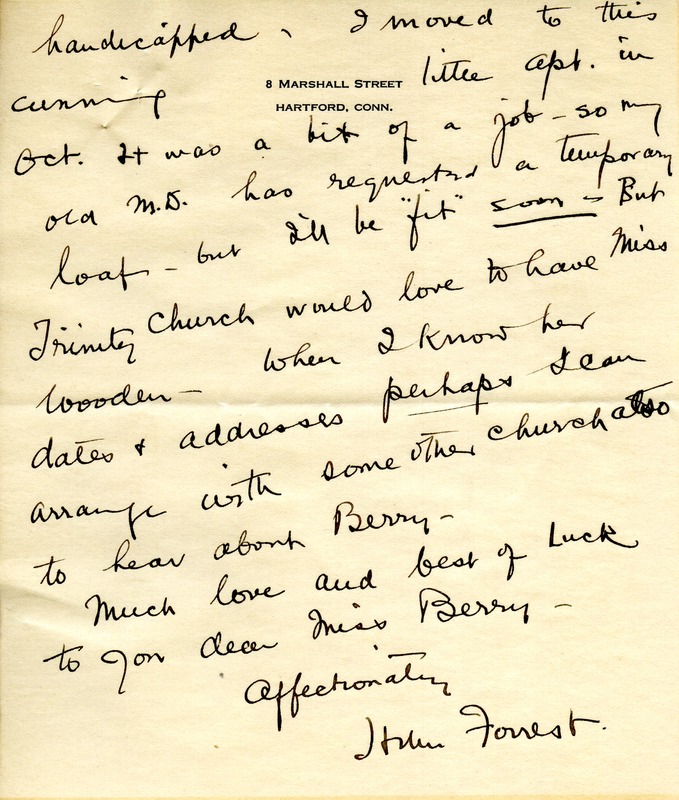 Helen Forrest, “Letter for Martha Berry from Helen Forrest.” Martha Berry Digital Archive. Eds. Schlitz, Stephanie A., Chelsea Risley, et al. 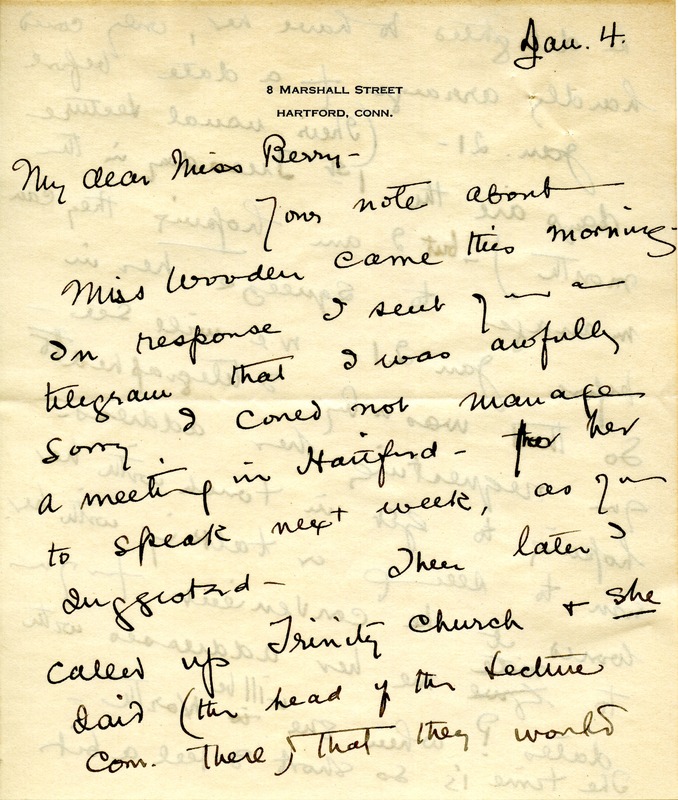 Mount Berry: Berry College, 2013. accessed April 20, 2019, https://mbda.berry.edu/items/show/12550.